Cities: Capital: Jerusalem.2 Other cities — Tel Aviv, Haifa, Beersheba. Education: Years compulsory: 11. Literacy — 96.9% (female 95.6%; male 98.3%). Health: Infant mortality rate (2009 est.) — 4.22/1,000 births. Life expectancy at birth — 80.73 years; female 82.95 years, male 78.62 years. Work force (3.02 million; Central Bureau for Statistics, 2009): Agriculture: 2.1%; manufacturing — 16.2%; electricity and water supply — 0.8%; construction — 5.4%; trade and repair of motor vehicles — 3.6%; accommodation services and restaurants — 4.3%; transport, storage, and communication — 6.5%; banking, insurance, and finance — 3.3%; business activities — 13.4%; public administration — 4.7%; education — 12.7%; health, welfare, and social services — 10.7%; community, social, and personal services — 4.6%; services for households by domestic personnel — 1.6%. Branches: Executive: president (head of state); prime minister (head of government). Legislative — unicameral Knesset. Judicial — court system headed by Supreme Court president. Agriculture: Products: citrus and other fruits, vegetables, beef, dairy, and poultry products. Industry: Types: high-technology projects (including aviation, communications, computer-aided design and manufactures, medical electronics, fiber optics), wood and paper products, potash and phosphates, food, beverages, tobacco, caustic soda, cement, construction, plastics, chemical products, diamond cutting and polishing, metal products, textiles, and footwear. Trade: Exports (2009 est. ): $50.015 billion. Exports include polished diamonds, electronic communication, medical and scientific equipment, chemicals and chemical products, electronic components and computers, machinery and equipment, transport equipment, rubber, plastics, and textiles. Imports (excluding defense imports, 2009 est.) — $55.2 billion: raw materials, diamonds, energy ships and airplanes, machinery, equipment, land transportation equipment for investment, and consumer goods. Major partners — U.S., U.K., Germany; exports — U.S., Belgium, Hong Kong; imports — U.S., Belgium, Germany, Switzerland, U.K.
Of the approximately 7.59 million Israelis in 2010, about 76% were counted as Jewish, though some of those are not considered Jewish under Orthodox Jewish law. Since 1989, nearly a million immigrants from the former Soviet Union have arrived in Israel, making this the largest wave of immigration since independence. In addition, an estimated 105,000 members of the Ethiopian Jewish community have immigrated to Israel, 14,000 of them during the dramatic May 1991 Operation Solomon airlift; 32.9% of Israelis were born outside of Israel. The following years were marked by continuing violence across the Suez Canal, punctuated by the 1969-70 war of attrition. On October 6, 1973 — Yom Kippur (the Jewish Day of Atonement), the armies of Syria and Egypt launched an attack against Israel. Although the Egyptians and Syrians initially made significant advances, Israel was able to push the invading armies back beyond the 1967 cease-fire lines by the time the United States and the Soviet Union helped bring an end to the fighting. In the UN Security Council, the United States supported Resolution 338, which reaffirmed Resolution 242 as the framework for peace and called for peace negotiations between the parties. In the years that followed, sporadic clashes continued along the cease-fire lines, but guided by the U.S., Egypt and Israel continued negotiations. In November 1977, Egyptian President Anwar Sadat made a historic visit to Jerusalem, which opened the door for the 1978 Israeli-Egyptian peace summit convened at Camp David by President Jimmy Carter. These negotiations led to a 1979 peace treaty between Israel and Egypt, signed by President Sadat of Egypt and Prime Minister Menachem Begin of Israel, after which Israel withdrew from the Sinai in 1982. In the years following the 1948 war, Israel's border with Lebanon was quiet relative to its borders with other neighbors. After the expulsion of Palestinian fighters from Jordan in 1970 and their influx into southern Lebanon, however, hostilities along Israel's northern border increased and Israeli forces crossed into Lebanon in 1978. After passage of Security Council Resolution 425, calling for Israeli withdrawal and the creation of the UN Interim Force in Lebanon peacekeeping force (UNIFIL), Israel withdrew its troops. In June 1982, following a series of cross-border terrorist attacks and the attempted assassination of the Israeli Ambassador to the U.K., Israel invaded Lebanon to fight the forces of Yasser Arafat's Palestine Liberation Organization (PLO). 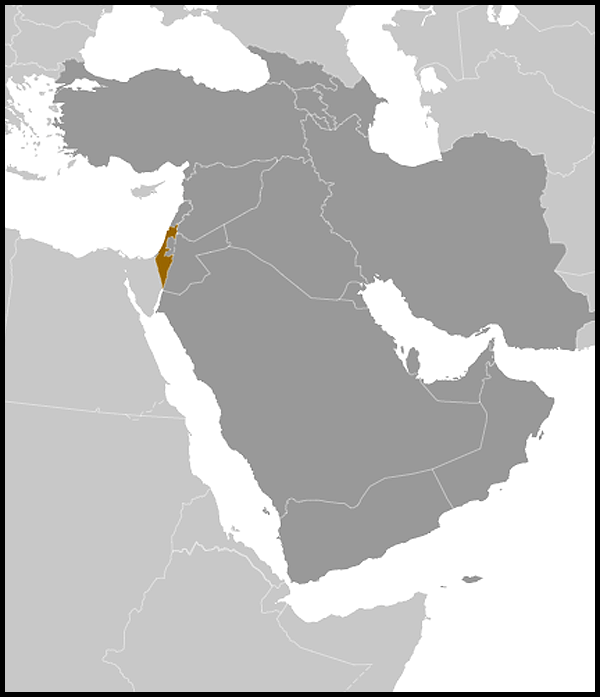 The PLO withdrew its forces from Lebanon in August 1982. Israel, having failed to finalize an agreement with Lebanon, withdrew most of its troops in June 1985 save for a residual force which remained in southern Lebanon to act as a buffer against attacks on northern Israel. These remaining forces were completely withdrawn in May 2000 behind a UN-brokered delineation of the Israel-Lebanon border (the Blue Line). Hezbollah forces in Southern Lebanon continued to attack Israeli positions south of the Blue Line in the Shaaba Farms/Har Dov area of the Golan Heights. On October 26, 1994, Israel and Jordan signed a historic peace treaty, witnessed by President Bill Clinton. This was followed by Israeli Prime Minister Rabin and PLO Chairman Arafat's signing of the historic Israeli-Palestinian Interim Agreement on September 28, 1995. This accord, which incorporated and superseded previous agreements, broadened Palestinian self-government and provided for cooperation between Israel and the Palestinians in several areas. Israeli Prime Minister Yitzhak Rabin was assassinated on November 4, 1995, by a right-wing Jewish radical, bringing the increasingly bitter national debate over the peace process to a climax. Subsequent Israeli governments continued to negotiate with the PLO resulting in additional agreements, including the Wye River and the Sharm el-Sheikh memoranda. However, a summit hosted by President Clinton at Camp David in July 2000 to address permanent status issues — including the status of Jerusalem, Palestinian refugees, Israeli settlements in the West Bank and Gaza, final security arrangements, borders, and relations and cooperation with neighboring states — failed to produce an agreement. Despite the promising developments of spring 2003, violence continued and in September 2003 the first Palestinian Prime Minister, Mahmoud Abbas (Abu Mazen), resigned after failing to win true authority to restore law and order, fight terror, and reform Palestinian institutions. In response to the deadlock, in the winter of 2003-2004 Prime Minister Sharon put forward his Gaza disengagement initiative, proposing the withdrawal of Israeli settlements from Gaza as well as parts of the northern West Bank. President George W. Bush endorsed this initiative in an exchange of letters with Prime Minister Sharon on April 14, 2004, viewing Gaza disengagement as an opportunity to move towards implementation of the two-state vision and begin the development of Palestinian institutions. In a meeting in May 2004 the Quartet endorsed the initiative, which was approved by the Knesset in October 2004. On August 15, 2005, Israel began implementing its disengagement from the Gaza Strip, and the Israeli Defense Forces completed their withdrawal, including the dismantling of 17 settlements, on September 12. After broad recognition for Prime Minister Sharon's accomplishment at that fall's UN General Assembly, international attention quickly turned to efforts to strengthen Palestinian governance and the economy in Gaza. The United States brokered a landmark Agreement on Movement and Access between the parties in November 2005 to facilitate further progress on Palestinian economic issues. However, the terrorist organization Hamas — building on popular support for its "resistance" to Israeli occupation and a commitment to clean up the notorious corruption of the Palestinian Authority (PA) — took a majority in the January 2006 Palestinian Legislative Council (PLC) elections, with Hamas leader Ismail Haniya as Prime Minister. The Israeli leadership pledged not to work with a Palestinian government in which Hamas had a role. Shortly following Hamas' PLC victory, the Quartet — comprised of the United States, European Union, United Nations, and Russia — outlined three basic principles the Hamas-led PA must meet in order for the U.S. and the international community to reengage with the PA: renounce violence and terror, recognize Israel, and respect previous agreements, including the roadmap. The Hamas-led PA government rejected these principles, resulting in a Quartet statement of "grave concern" on March 30, 2006 and the suspension of U.S. assistance to the PA, complete prohibition on U.S. Government contacts with the PA, and prohibition of unlicensed transactions with the PA government. The Palestine Liberation Organization (PLO) under the leadership of PLO Chairman and PA President Mahmud Abbas (Abu Mazen), by contrast, remained consistently committed to the Quartet principles. Despite several negotiated cease-fires between Hamas and Fatah, violent clashes in the Gaza Strip — and to a lesser extent in the West Bank — were commonplace between December 2006 and February 2007 and resulted in dozens of deaths and injuries. In an attempt to end the intra-Palestinian violence, the King of Saudi Arabia invited Palestinian rivals to Mecca, and on February 9, 2007, Abbas and Hamas leader Haniya agreed to the formation of a Palestinian national unity government and a cessation of violence. Hamas' rejectionist policies and violent behavior continued despite the formation of the national unity government. The Palestinian Authority (PA) government under President Abbas and Prime Minister Fayyad has no elements controlled by Hamas. The government is dedicated to pursuing a negotiated solution to the Arab-Israeli conflict, and the Quartet principles. As a result, the PA has been supported politically and financially by the international community, and engaged by Israel. The U.S. reinstated its assistance to the PA in 2007 and provides budget and development assistance as well as support for the PA's efforts to reform and improve security and rule of law in the West Bank. On January 22, 2009, President Barack Obama named Senator Mitchell his and Secretary of State Hillary Clinton's special envoy for Middle East peace. Special Envoy Mitchell immediately traveled to the region and subsequently returned on a nearly monthly basis in an effort to help create the conditions that would support a two-state solution and to re-launch credible and productive negotiations. The President has visited Turkey, Egypt, and Saudi Arabia and hosted Prime Minister Netanyahu and numerous Arab heads of state in Washington, DC. On September 22, 2009 he hosted a trilateral meeting with Prime Minister Netanyahu and President Abbas, and he has written to over a dozen Arab heads of state asking for their assistance in ending the Arab-Israeli conflict. Senator Mitchell began indirect talks between the two parties in March 2010, and direct talks were launched on September 2, 2010 in Washington, DC. Secretary Clinton has met many leaders from the region and has traveled to the Middle East multiple times since her appointment to promote a Middle East peace settlement. Israel is a parliamentary democracy. Its governmental system is based on several basic laws enacted by its unicameral parliament, the Knesset. The president (head of state) is elected by the Knesset for a 5-year term. Israel maintains an embassy (http://www.israelemb.org/) in the United States at 3514 International Drive NW, Washington DC, 20008 (tel. 202-364-5500). There also are consulates general in Atlanta, Boston, Chicago, Houston, Los Angeles, Miami, New York, Philadelphia, and San Francisco. Enjoying broad public support and anxious to secure his own mandate, Peres called for early elections after just 3 months in office (elections would have been held by the end of October 1996.) In late February and early March, a series of suicide bombings by Palestinian terrorists took some 60 Israeli lives, seriously eroding public support for Peres and raising concerns about the peace process. Increased fighting in southern Lebanon, which also brought Katyusha rocket attacks against northern Israel, also raised tensions and weakened the government politically, a month before the May 29 elections. In those elections — the first direct election of a Prime Minister in Israeli history — Likud leader Binyamin Netanyahu won by a narrow margin, having sharply criticized the government's peace policies for failing to protect Israeli security. Netanyahu subsequently formed a right-wing coalition government publicly committed to pursuing the peace process, but with an emphasis on security and reciprocity. In 1999, with a shrunken coalition and facing increasing difficulty passing legislation and defeating no-confidence motions, Netanyahu dissolved parliament and called for new elections. This time, the Labor candidate — Ehud Barak — was victorious. Barak formed a mixed coalition government of secular and religious parties, with Likud in the opposition. In May 2000, Barak fulfilled one of his major campaign promises by withdrawing Israeli forces from Southern Lebanon. However, by mid-autumn, with the breakdown of the Camp David talks and the worsening security situation caused by the second Palestinian intifada, Barak's coalition was in jeopardy. In December, he resigned as Prime Minister, precipitating a new prime ministerial election. The summer of 2004 saw renewed instability in the government, as disagreement over the Gaza disengagement plan resulted in Sharon's firing two ministers of the National Union Party and accepting the resignation of a third from the National Religious Party in order to secure cabinet approval of the plan (it was endorsed on June 6, 2004). Continuing divisions within the Likud on next steps then prompted Ariel Sharon to leave the party in November 2005 to form the Kadima ("Forward") party and call new elections for March 2006. However, Sharon was unexpectedly incapacitated in January 2006 due to a severe stroke and leadership of Kadima shifted to Acting Prime Minister Ehud Olmert. Olmert led the Kadima party to electoral victory on March 28, and was able to form a coalition with Labor and several smaller parties. The new government was sworn in on May 4, 2006. Corruption allegations and an ensuing police investigation of Prime Minister Olmert led to his resignation in September 2008. In October, President Peres asked deputy Prime Minister and Foreign Minister Tzippi Livni to form a new government. When Livni was unable to secure a governing majority, President Peres called for new elections to be held in February 2009. Even though Kadima, led by Tzippi Livni won more seats than any other single party, the right-of-center parties, both religious and secular, had the largest overall gains in the new Knesset. Subsequently, President Peres asked Likud leader Netanyahu to form a government. Netanyahu was sworn in as Prime Minister on March 31, 2009. Israel's strong commitment to economic development and its talented work force led to economic growth rates during the nation's first 2 decades that frequently exceeded 10% annually. The years after the 1973 Yom Kippur War were a lost decade economically, as growth stalled and inflation reached triple-digit levels. 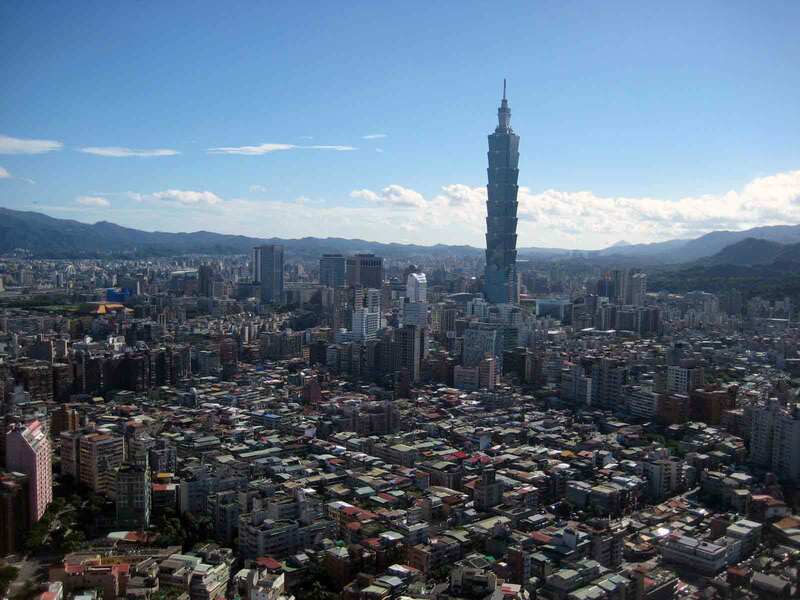 The successful economic stabilization plan implemented in 1985 and the subsequent introduction of market-oriented structural reforms reinvigorated the economy and paved the way for rapid growth in the 1990s. A wave of Jewish immigration beginning in 1989, predominantly from the countries of the former U.S.S.R., brought nearly a million new citizens to Israel. These new immigrants, many of them highly educated, now constitute some 13% of Israel's 7.5 million inhabitants. Their successful absorption into Israeli society and its labor force forms a remarkable chapter in Israeli history. The skills brought by the new immigrants and their added demand as consumers gave the Israeli economy a strong upward push and in the 1990s, they played a key role in the ongoing development of Israel's high-tech sector. Israeli companies, particularly in the high-tech area, have in the past enjoyed considerable success raising money on Wall Street and other world financial markets; Israel has approximately the same number of companies listed on NASDAQ as the next three countries (Canada, Japan, and Ireland) combined. Israel's tech market is very developed, and in spite of the pause in the industry's growth, the high-tech sector is likely to be the major driver of the Israeli economy. Almost 45% of Israel's exports are high tech. Most leading players, including Intel, Motorola, IBM, and Cisco have a presence in Israel. After growing by an exceptional 9.2% in 2000, growth was negative in 2001 and 2002, as a result of the security situation, global recession, and high-tech downturn. Growth returned in 2003, and as a result of the improvement in the security situation and the economic recovery plan undertaken by the Government of Israel, the Israeli economy grew by an average of more than 5% per year from 2004 to 2007. This was followed by growth of 4.2% in 2008. With the onset of the global financial crisis, the slowdown in the Israeli economy only began in the third quarter of 2008, but had largely recovered by the third quarter of 2009. Unemployment reached a high of 10.7% in 2003, a level not seen in 20 years, and declined consistently each year until 2008, when it reached 6.1%, the lowest level since 1995. The global economic slowdown raised the 2009 unemployment rate to 7.6%. Trade of goods and services in Israel grew by 9.3% and 5.2%, respectively, in 2006 and 2007. Exports declined by a sharp 35.6% in the fourth quarter of 2008 and 28.6% in the first quarter of 2009. Diamond exports alone declined by more than 36% in the fourth quarter of 2008 compared with the same quarter the previous year. Agricultural exports, which increased by 44% in 2007, declined by almost 12% in the fourth quarter of 2008. However, recovery was well underway by early 2010, with exports posting 15.8% growth in the second quarter while imports were up 8.3%. The general consensus among economists is that Israel entered the global economic crisis in relatively good shape. 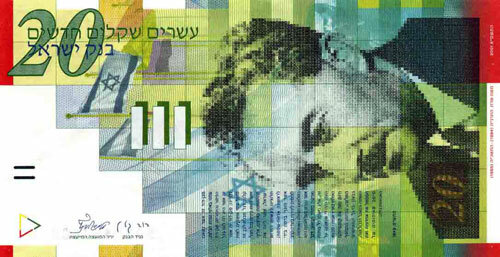 Because the Government of Israel maintained conservative policies during the crisis and avoided ambitious fiscal spending packages, the Israeli economy is expected to quickly emerge from a shallow recession and return to a path of growth, even if not at levels that were seen prior to the crisis. The United States is Israel's largest single trading partner. In 2009, bilateral trade totaled $22.3 billion, a decline of about 20% over 2008, victim of the slowdown in global trade. The U.S. trade deficit with Israel was $11.1 billion in 2009. The principal goods exported from the U.S. include civilian aircraft parts, telecommunications equipment, semiconductors, civilian aircraft, electrical apparatus, and computer accessories. Israel's chief exports to the U.S. include diamonds, pharmaceutical preparations, telecommunications equipment, medicinal equipment, electrical apparatus, and cotton apparel. The two countries signed a free trade agreement (FTA) in 1985 that progressively eliminated tariffs on most goods traded between the two countries over the following 10 years. An agricultural trade accord signed in November 1996 addressed the remaining goods not covered in the FTA but has not entirely erased barriers to trade in the agricultural sector. Israel also has trade and cooperation agreements in place with the European Union, Canada, Mexico, and other countries. Israel's ground, air, and naval forces, known as the Israel Defense Force (IDF), fall under the command of a single general staff. Conscription is universal for Jewish men and women over the age of 18, although exemptions may be made on religious grounds. Druze, members of a small Islamic offshoot living in Israel's mountains, also serve in the IDF. Israeli Arabs, with the exception of some Bedouins, do not serve. During 1950-66, Israel spent an average of 9% of GDP on defense. Real defense expenditures increased dramatically after both the 1967 and 1973 wars. The defense budget in 2009 totaled U.S. $12 billion, representing 6.2% of GDP, and accounting for 16.3% of government expenditures. U.S. military aid to Israel in 2009 totaled U.S. $2.55 billion. This will increase to U.S. $3 billion in 2012, and will total U.S. $3.15 billion per year from 2013 to 2018. The U.S. Embassy (http://telaviv.usembassy.gov/) in Israel is located at 71 Hayarkon Street, Tel Aviv (tel. 03-519-7575). The U.S. Consulate General (http://jerusalem.usconsulate.gov/) in Jerusalem has offices at 18 Agron Road (tel. 02-622-7230) and on Nablus Road (tel. 02-622-7230). The Consulate General in Jerusalem is an independent U.S. mission, established in 1844, whose members are not accredited to a foreign government.